Three hundred and ninety nine years ago today, “Sharp Medicine” ended the life of Sir Walter Raleigh in the Old Palace Yard at the Palace of Westminster. Having been the beneficiary of Elizabeth I’s interest in exploring and colonizing “remote, heathen and barbarous lands, countries and territories, not actually possessed of any Christian Prince or inhabited by Christian people,” Raleigh was one of the more colorful characters in the 16th century expansionist era. Given a 20% interest in all riches he found, stole, privateered or came by in any fashion by Elizabeth, his fortunes were as volatile as his lodgings. In and out of the Tower of London for all manner of offenses, the amplitude of his state swung wildly – at one time prisoner in the Tower only to arise to Parliament and the Queen’s court. I had the great fortune of seeing Sir Walter Raleigh’s last correspondence with King James I written on the eve of his execution which is in permanent archive at Hatfield House. This rare moment was at the generous invitation of Robert Cecil, 7th Marquess of Salisbury during a stay at Hatfield. In rather grandiose flair, Raleigh’s letter regaled the regent with every manner of flattery and, at the bottom of the page, wrote his final plea for mercy – oozing with his self-deprecating unworthiness - in the smallest script I’ve ever seen in quill and ink. The flattery got him nowhere and a few short days later, his head was embalmed and given to his widow. 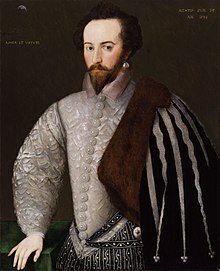 Now while the fascination with Sir Walter Raleigh’s life and grisly death could occupy pages of intrigue, I’m particularly interested in the notion of one legacy of his life (and what may have very well contributed to his death). That’s the notion of the 20% commission granted by Elizabeth I. To this day, this rather arbitrary commission lives on in modern compensation. And what I find fascinating is the historical context in which this number appears to emerge. You see, in Jewish and Christian traditions, 10 percent (also known as a tithe) were the conventional tax for the ecclesiastical establishment. So it is somewhat intriguing that a Christian regent would bestow on a single individual a sum equivalent to twice the tithe due the church. In Mesopotamia, the notion of a 20% rate of interest was considered commonplace for several millenia. It is thought that the Abrahamic traditions’ opposition to usury may be in response to the oppressive effect this rate placed on the poor and disadvantaged. The Council of Nicea confirmed the prohibition on usury in 325 CE. For the next 900 years, various Popes allowed those with resources to charge interest or take collateral in rather direct correlation to their need to be on the take from the wealthy to fund their aspirations. In Italy, France and Spain, rates of up to 20% were not uncommon with the church taking its cut and the moneylender taking his. The 10% tithe never seemed to be in question. To make money, a lender would need to charge the church’s 10% and then add his take on top. But Elizabeth’s 20% commission seems to establish an explicit authorization for an individual to personally benefit without cutting the church in on anything. Today, the amount of money charged by investment managers retains this 20% legacy. What gives rise to the notion that an individual’s actions represent one fifth of the community interest of their actions? When Sir Walter Raleigh confiscated the treasure-laden Spanish ships, was he entitled to 20%? By the Queen’s order, yes. But when King James I negotiated peace with Spain, was he entitled to Spanish treasure or commission – unfortunately for him, no. Twenty percent motivated Raleigh to act out of self-interest. Today, 20% motivates many investment managers to act also out of self-interest. One wonders if the 20% interest is in part a presumed tithe (the community interest) and in part an incentive. And when these are given equal weight, one wonders if the self-interest piece can blind the community interest. I’ve been amazed, during my recent meetings with investment managers in the U.S. and Australia, the number of managers who have entirely lost the plot when it comes to fiduciary responsibility. Mangers and the sovereigns that regulate them are turning a blind eye towards fees that are assessed to the public for returns that fail to even match passive market returns. Large asset managers and financial services firms are racing each other to the bottom on fees in recognition of the fact that they are delivering no value to their clients. But no one is looking behind the curtain to see where these same firms are making their money. How can billions and trillions of dollars of pensions be managed by firms that are charging negligible fees? When Exchange Traded Funds (ETFs) are now charging less and 1/10 of one percent, how can the titans make it? Tragically, the public is being duped into believing that their investments are being managed for nearly nothing. But this is NOT the case. What the public doesn’t know and cannot see is where the incentives are. When a fund fails to return passive market rates, someone somewhere took that money. And the SEC, ASIC and regulators around the world are not probing this because they’re either unable or unwilling to deal with the answer. How much is management worth? Is Elizabeth’s 20% correct? Well, it seems that the answer to that question is a resounding, “It depends.” If someone is committed to transparent delivery of value, it may be correct. If someone is hiding their real benefits while misleading the public into thinking that they’re doing something, it is certainly wrong. And on this anniversary of Sir Walter Raleigh’s cerebral dispatch, it may be prudent for us to use our heads while their affixed and start paying attention to the fact that someone is preying on the public ignorance. I don't speak Gaelic. And if Sir Walter, as credited, hadn't introduced the potato to Ireland, into the lives of around 20% of my ancestry, where their dependency on the crop grew catastrophically, I wouldn't have attended the world premier of Patrick Cassidy's Famine Remembrance Symphony, seated down the front pew from Cardinal O'Connor. Likely the Cardinal also owed his being American to that one excessive dependency on the innocuous-enough spud. We, the unintended consequences, and the generations to come, remain just as eventually vulnerable to the less visible slight of a fund managers' hand as our ancestors were to easy carbs harvested from the darkness of dirt, with no more transparency to the practices in place, and their consequences, than we could gather from the tea leaves of an empty stew bowl. This can only lead to one outcome and the lack of foresight is asstounding. This lack of vision seems to permeate pivotal areas of which you have written about so eloquently. It seems it's headed for the crash and burn..